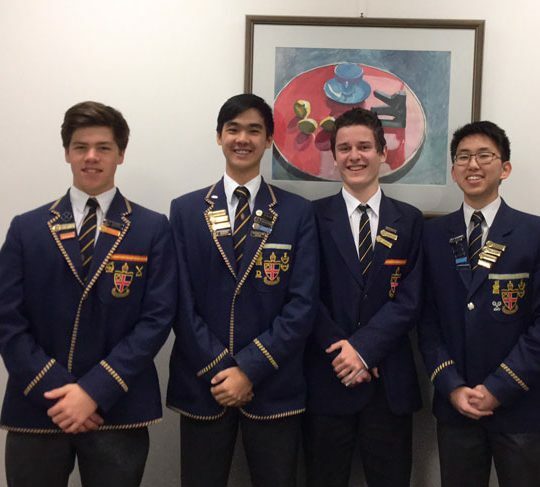 Four Christ Church boys were among some of Australia’s brightest young minds taking part in Olympiad summer school programs and courses during the school holidays. Year 12 students Liam Kearney and Simon Swan spent two and half weeks at Monash University in January after being selected in the Science Olympiad Summer Schools for chemistry and physics respectively. The boys completed a rigorous first-year university course, which included practical tests every day and up to five-hour long exams. Tackling subject matter including heteronuclear diatomics, Liam said the chemistry school was very intense and sometimes confusing. “I did enjoy studying things you would never get a chance to study at school – it really stretches you,” he said. Simon, who found special relativity and causality particularly interesting, said the 11-hour days with meal breaks only and daily testing was gruelling but in a positive way. “I also got to meet some really great people with similar interests,” he said. While Simon awaits his results and possible selection for the Asian Physics Olympiad, Liam will sit his written exam next month. Year 11 students Dylan Bell and Dylan Boggetti attended the Informatics School of Excellence at the Australian National University in Canberra. 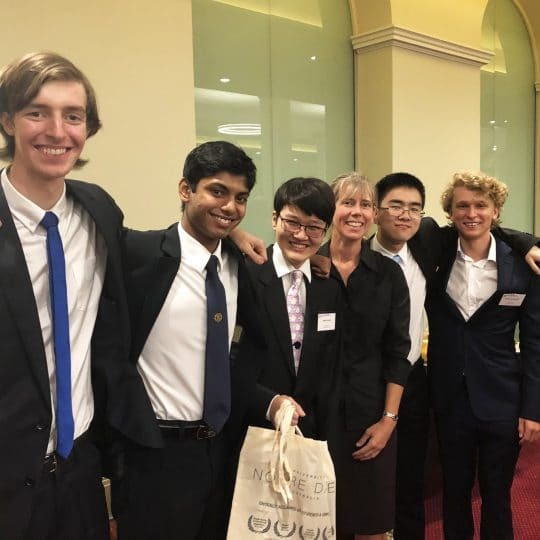 After finishing in the top 20 in Australia in last year’s Australian Informatics Olympiad (AIO) qualifying exam, the boys were offered a place in the intensive 10-day programming course. 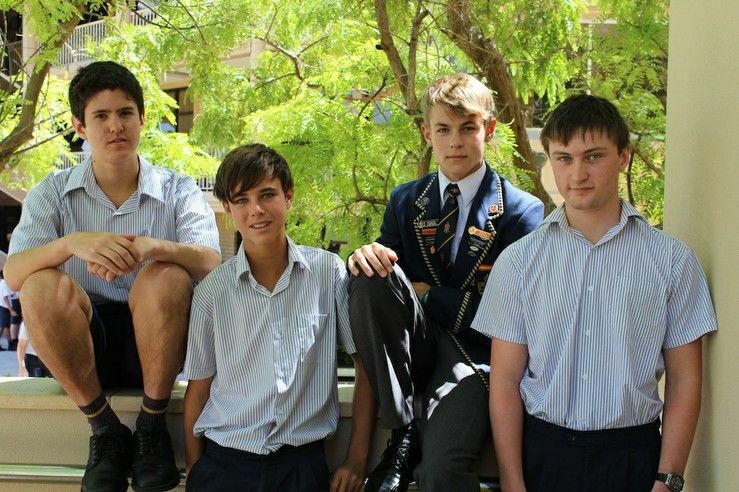 Head of ICT Chris Anderson said the boys obviously impressed lecturers as they have both been invited to sit the Australian Invitational Informatics Olympiad and the French-Australian Regional Informatics Olympiad exams in February and March. This year’s International Informatics Olympiad will be held in Brisbane. 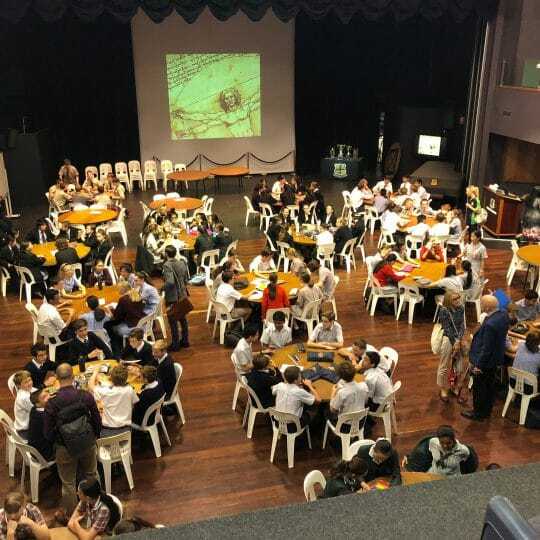 It is the first time Australia has hosted the event, which showcases the maths and computer science skills of teams from more than 80 countries.